Having a sober birthday is a huge accomplishment and being recognized for that milestone is equally important. 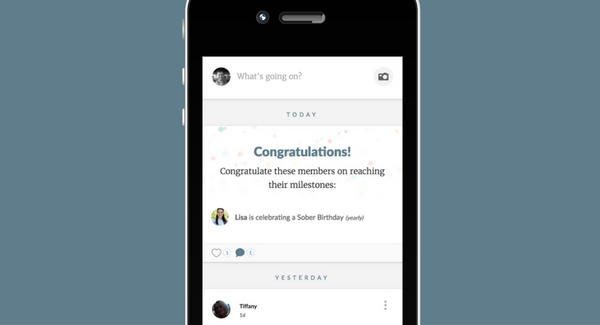 Our sober birthday feature allows alumni to input a sober birthday and be recognized in the group on their anniversary. We understand that sometimes those dates change or you want that date to be private, so we’ve incorporated those controls for you alumni. Engaging your alumni group around a specific theme or topic helps to create community. 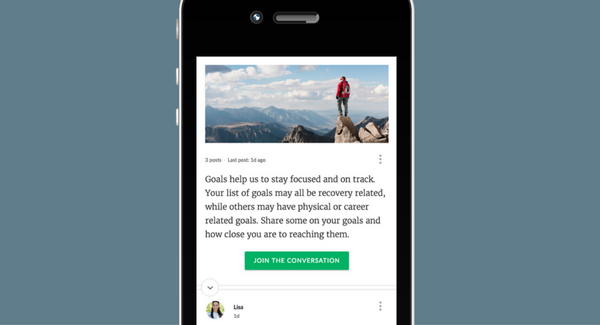 Using our conversations features, team leaders can create a conversation starter and alumni can post responses. Features like comments, reaction, and notifications help your alumni group to be reminded of and participate in the conversation. Want to learn more about using CaredFor at your facility?